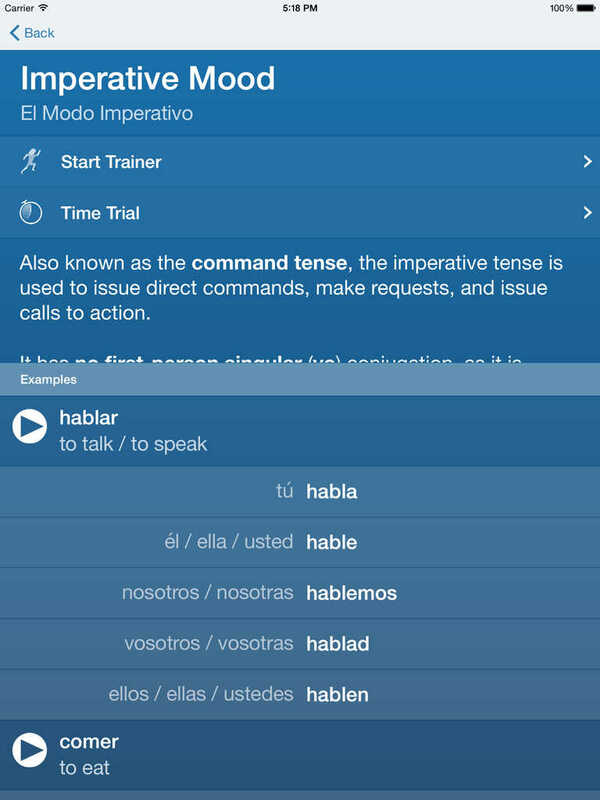 The SPANISH VERB CONJUGATION TRAINER is the award winning app that makes mastering SPANISH VERBS simple and fun, designed especially for BUSY STUDENTS on the go, around the school or abroad. 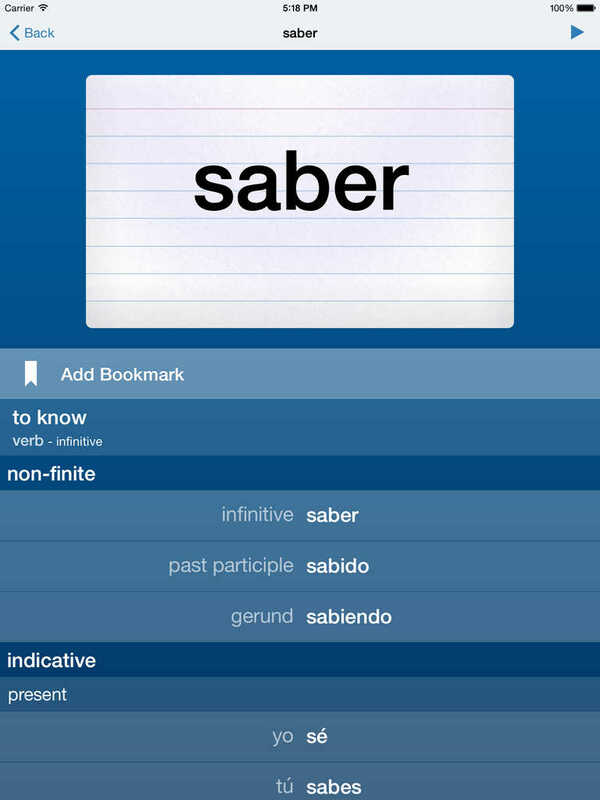 • Contains detailed CONJUGATION CHARTS for over 1300 verbs! 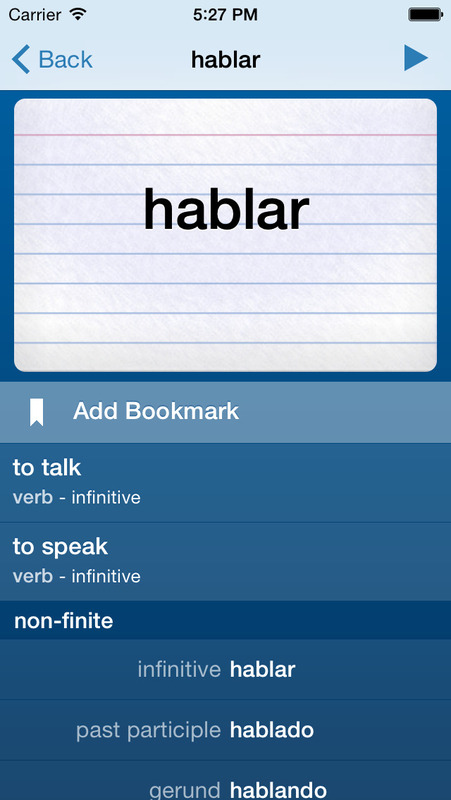 • Listen to AUDIO pronunciations for every verbs, in all conjugation forms (Powered by iSpeech). • Includes TENSE and MOOD explanations with precise examples. • Searchable DICTIONARY for quick reference. 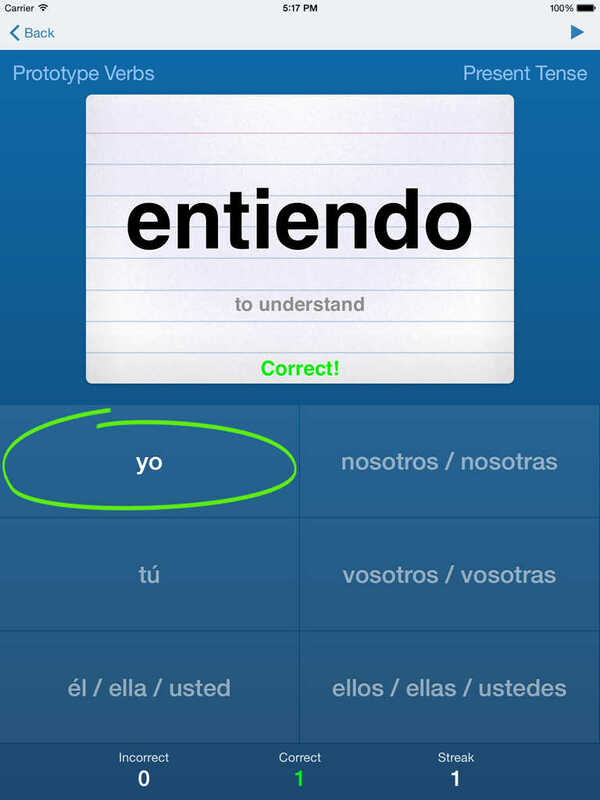 • Multiple choice quiz to quickly MEMORIZE verb forms. 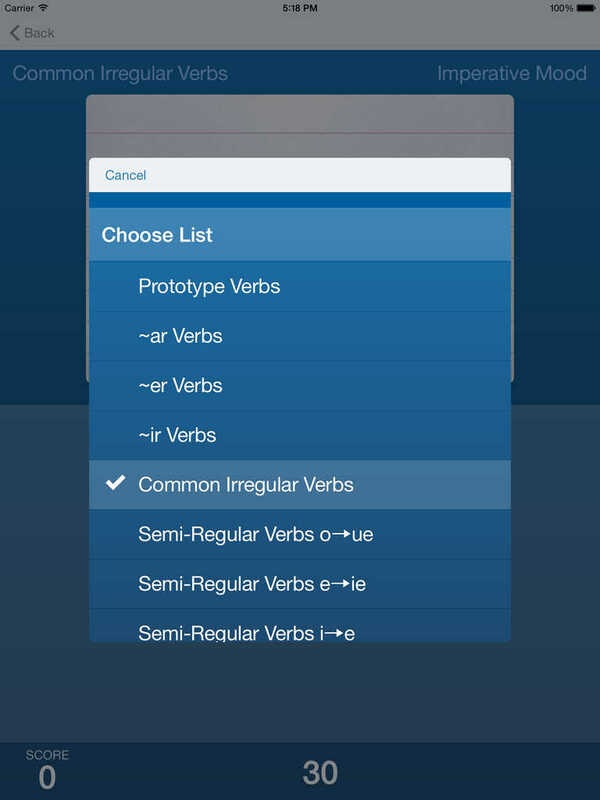 • Create CUSTOM LIST of verbs and sync across your devices with iCloud.